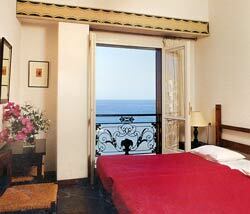 The Doma hotel is located in Hania and overlooks the beautiful bay. A neo-classical mansion that used to be the British Consulate, it has now been tastefully converted into a hotel . It is situated on the road to the Hania (Souda) airport. The exterior appearance of the hotel building gives few clues as to the great interior or the marvellous patio. 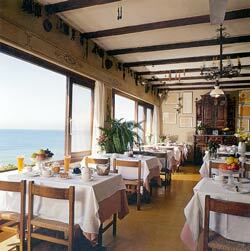 The hotel is decorated in an old fashioned style and various antiques are present throughout. Take a careful look at the turkish marble inscriptions in the hotel's patio or on the various antique pieces in the dining room and the hotel's reception lounge. These are examples of items used in the houses of Cretans many years ago. Try also to see the excellent hat collection of Mrs. Valyraki. These are traditional hats bought by her whilst on her many trips around the world. The rooms of the hotel are simple but elegant. Their decoration matches the overall hotel style. 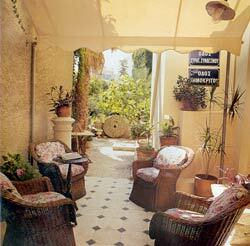 They are fully air-conditioned and they overlook the bay of Hania or the pretty garden of the hotel. Service is excellent and the hotel's personnel are all friendly and ready to assist you in every possible way. Doma Hotel is a hotel with its own unique identity and a great choice for your holidays in Hania.